Are you planning to install a new air conditioner? Well, there are many people who are thinking of doing so and markets are full of options. Of course, there is a wide range of variety, but getting the best deal for your house or office can be challenging. It is wise to consider several factors before finalizing the decision. 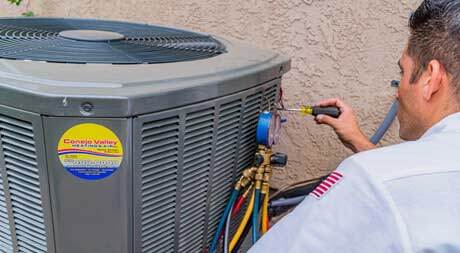 These factors matter in the air conditioner installation process. Apart from that, not all companies offer you what you require for your home. Making the right decision is the only option you have. 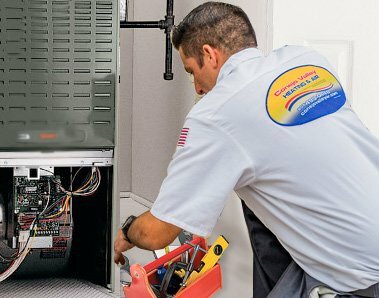 This is the reason we have developed a special process through which our customers will be able to get detailed information about the air conditioner installation process. After that, they can make an effective decision. The installation can be done only by passing through various steps that will be followed by our expert team members. Although every AC manufacturing company claims that they have made their system’s energy efficient, it must be noted that a lot of development has to take place. With every passing year, new technology comes into the market and makes equipment much more effective. This is why you should choose an air conditioning installation company that provides energy efficient equipment. Another reason why people tend to change their AC system or choose a new one is that their system is as old as a 15-year old television. Well, it is time to consider changing it due to the decrease in performance. Also, it will be less cost-effective in the long run. As mentioned earlier, a new air conditioning installation will not only benefit you but it can be a good return on investment. A newly installed system will decrease the need of repairs and maintenance. Apart from that, if you are planning to sell your home, a new air conditioning installation system will make a huge difference in prices. No matter what the reason is you have behind the decision of a new air conditioning installation, it should be done in an effective way. This is possible through a company which is capable of providing you the best services. 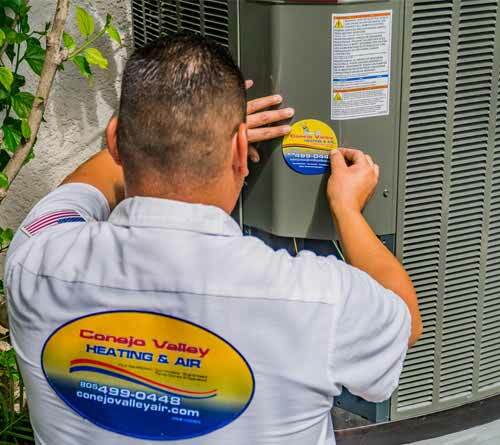 Choose Conejo Valley Heating and Air Conditioning for AC Installation. We are here to provide you with the best possible services in town. If you are looking to install an air conditioner in your home or office, contact Conejo Valley Heating and Air Conditioning’s Experts today or Call Us at (805) 499-0448! We can help you find the best HVAC system for your budget and your home’s needs. We provide services in different areas of California. 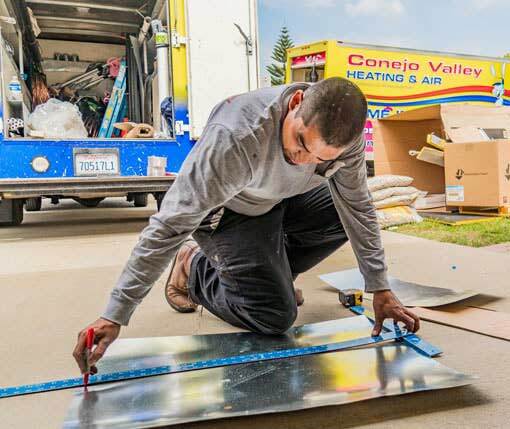 We provide air conditioning installation services in Oxnard, Thousand Oaks, Simi Valley, Ventura, Camarillo, Moorpark, Santa Paula, Port Hueneme, Fillmore, Oak Park CDP, Ojai, El Rio, Mira Monte, Oak View, Meiners Oaks, Santa Rosa Valley, Casa Conejo, Channel Islands Beach, Piru, Bell Canyon, Lake Sherwood, Santa Susana, and Saticoy. Our air conditioning installation experts give service in Ventura County’s all areas 24 hours a day. Please contact Conejo Valley Heating and Air Conditioning installation services. We provide air conditioning installation services in Carpinteria, Montecito, Channel Islands, Goleta, Santa Barbara, Isla Vista and more. If you live in these areas, please visit our website: Conejo Valley Heating and Air Conditioning or call us for all HVAC installation services. We provide air conditioning installation services in Agoura Hills, Calabasas, Lake Sherwood, Newbury Park, Oak Park, Thousand Oaks, Westlake Village, and more. 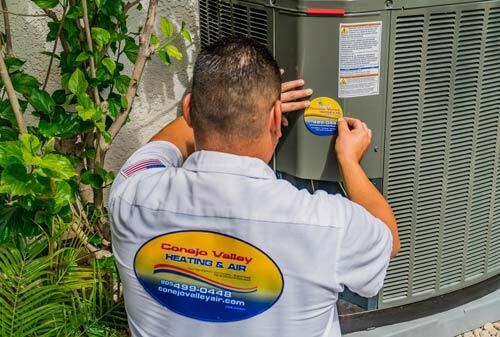 Our air conditioner installation technicians are trained and certified to diagnose all types of air conditioning services. Please contact Conejo Valley Heating and Air Conditioning installation services. 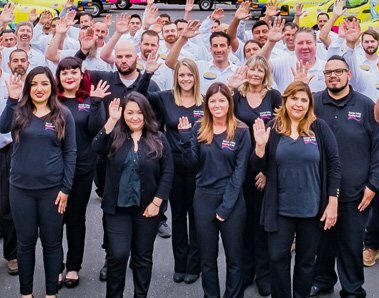 We provide air conditioning installation in Arleta, Cahuenga Pass, Canoga Park, Chatsworth, Encino, Granada Hills, La Tuna Canyon, Lake Balboa, Lake View Terrace, Mission Hills, NoHo Arts District, North Hills, Hollywood, Northridge, Pacoima, Panorama City, Porter Ranch, Reseda, Shadow Hills, Sherman Oaks, Studio City, Sun Valley, Sunland Tujunga, Sylmar, Tarzana, Toluca Lake, Valley Glen, Valley Village, Van Nuys, Warner Center, West Hills, Winnetka, and Woodland Hills. Our air conditioner installation technicians are well trained to diagnose all type of air conditioning services. Please contact Conejo Valley Heating and Air Conditioning installation services.